Dropshipping is the process of moving goods from the manufacturer directly to a customer without going through any of the usual distribution channels. Similar to a reseller business, a dropshipping retailer does not keep any inventory in stock. Instead, they will have products sent to the customer. This is a great way for entrepreneurs to start an ecommerce business without investing thousands of dollars in startup inventory. 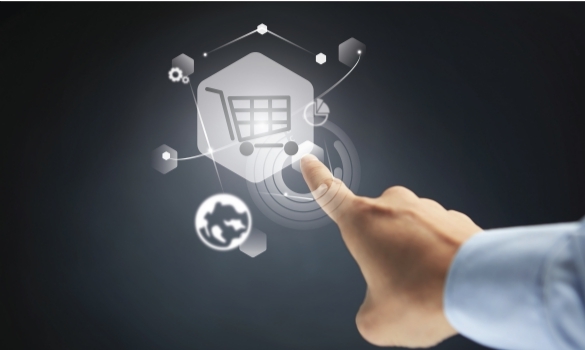 All you need is an eCommerce website on a server operating system. However, starting this type of business requires significant planning and preparation. If you are interested in creating your own dropshipping business, check out the list below for list of the key things you will need. As with any business, the first step to starting a dropshipping business is to construct a detailed business plan. You need this if you hope to succeed because it will help you to identify how your business will fit within the market. Using these number, calculate an estimated turnover rate. A well written business plan can provide you with the focus and preparation necessary to build an ecommerce store. Next, you will need a niche market. Dropshipping is a highly competitive business. It can be difficult to make money if you are constantly lowering product prices to keep up with other, established companies. Instead, you should find a unique market that is not flooded with dropshipping options. To get started, here are a list of businesses you can start researching for dropshipping opportunities. Choose something that you are passionate about. This will help you to discover newer, better was to set yourself apart from others. Before you can even consider building a dropshipping business, you will need a list of suppliers that you can work with. After you have found your niche market, it is time to start contacting potential partners. Find manufacturers who carry the products that interest you. If you are ambitious, you can create your own t-shirt. Convince them to work with you and start price negotiations. Once you find an adequate list of suppliers, you can focus more on the logistics of building your business. One of the most important things you will need to start your own dropshipping business is time. Bootstrapping and building any kind of business takes a significant amount of time. Often, the entrepreneur books explain it takes much more time and resources than aspiring entrepreneurs realize. If you truly want to develop this eCommerce store into a career, you will need to be dedicated. Make sure that you have the time to invest in this endeavor. As long as you are able to dedicate a set amount of hours per week to building your business, you can slowly help it develop into a full-time position. Finally, the last thing you need to start a dropshipping business is excellent customer service skills. Because your store will outsource inventory, your main focus should be on providing the customer with the best experience possible. If the customer wants you to accept PayPal alternatives as payment, you should do your best to meet their requests. In addition to customer service being your main focus, it is also important to hone these skills because working with a third party can leave a lot of room for error. Keeping your customer happy should be the primary goal of any dropshipping exchange. Designing a business website is a must for all types of business. A drop shipping business is no exception. You absolutely have to set up a drop shipping website for your business. It will enable you customers to see all the available products and order them conveniently. It will also act as a convenient location to collect customer payments and manage orders. Finally, a website for your drop shipping business will allows your suppliers a convenient place to communicate with your drop shipping business to let you know an order has been fulfilled or exchange concerns and comments. That will free you from the need for costly call center solutions. This is a must for any modern business. Once you have your dropshipping website setup, you’re read to start marketing your business. As an entirely online business, focus your efforts on digital marketing. If you can successfully drive targeted traffic to your website, customers will buy your products. When sales increase, you will have greater cash flow to reinvest into the business. You can choose a mix of digital marketing strategies including social media marketing, content marketing and digital advertising. These efforts will give your dropshipping business the exposure it needs to get started. Founding your own dropshipping business can be a difficult process without proper planning. You can face many of the same problems as similar fulfillment companies. However, if you are prepared to dedicate your time to finding suppliers and pleasing customers, you may be ready to start your business. Follow these tips above and develop a strong business plan to ensure your company’s success.